On Tuesday evening, at the scheduled Maricopa Community College Governing Board meeting, the Maricopa Community College District, the Governing Board as a whole, as well as specific members of the governing body who sat on the board when the decision was made to eliminate all four Maricopa Community College football programs —were officially served with a lawsuit filed by the law office of Philip Austin. Austin, a Mesa attorney, is representing twelve plaintiffs who allege that the district’s 2018 decision to eliminate all four football programs within the Maricopa Community College District, violates federal law as the decision disproportionately affects African-American students who make up over half the team rosters. The lawsuit says that in some cases student players accepted scholarships to play football, along with the ability to further their education, when their plans were abruptly halted and left without the possibility of playing beyond the 2018 season. The players are seeking a federal judge to prohibit the district from eliminating the football program and district officials to reverse the decision. 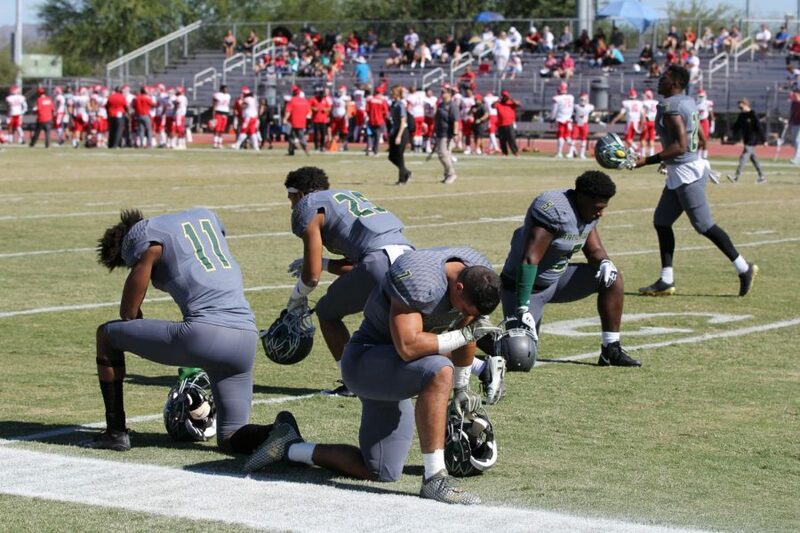 In February 2018, the Maricopa County Community College District announced that it would eliminate football at the district’s four colleges: Phoenix, Scottsdale, Mesa and Glendale after the 2018 season. Scottsdale Community College students received a notification via an email letter on Feb. 6, 2018, from the former President of Scottsdale Community College, Dr. Jan Gehler stating that, in fact, all four football programs (Glendale, Mesa, Phoenix and Scottsdale) across the Maricopa County Community College District would be eliminated following the 2018 season. “The four MCCCD football programs make up 20 percent of the total district athletic budget, and is responsible for more than 50 percent of related insurance costs. Ongoing costs to maintain the football programs could exceed $20 million in needed capital improvements and associated expenses,” Gehler said in that letter. Questions as well as confusion surfaced among players, students, faculty and members of the public, when a prior statement released on Oct. 12, 2017 by the MCCCD Chancellor, Maria Harper-Marinick stated that the football programs would not be eliminated. In that statement Harper-Marinick cites the same Maricopa Athletics Maricopa Priorities Task Force report findings and the “student success metrics” such as dropout rates, GPA’s and student loan default rates—but Harper-Marinick stated that the football program would not be eliminated but reevaluated. “After thoughtful consideration of both the quantitative and qualitative data in the Maricopa Athletics Maricopa Priorities Athletic Task Force’s report, I have decided that it is not prudent to eliminate football at this time. Our core mission is to provide access to higher education and to serve our communities. We will reevaluate the football programs in 2018-2019 based on their progress around student success measures. Our main priority will remain providing a solid educational experience to our students and ensuring their success in the attainment of their career and personal goals,” Harper-Marinick wrote in her statement. The reevaluation of the football program and student success measures that Harper-Marinick said would take place in 2018-2019 would have needed to happen sometime between mid-October of 2017 and Feb. 6, 2018—or—three to four months after her 2017 assertion that football at Maricopa would not be eliminated—the announcement of the elimination of all four football programs came down on Feb. 6, 2018. Northeast Valley News asked about what may happened between May 17, 2017 (the date the Maricopa Athletics, Maricopa Priorities Task Force report was submitted to the district) and the announcement on Feb. 6, 2018 of the elimination. We wanted to know if the reevaluation took place and asked about any results. On Feb. 13, 2018 we contacted Matt Hasson, District Director of Communications for Maricopa Community Colleges, for a response to those questions. “In October we put out a message that said, ‘As of right now, the programs will be reevaluated in the coming year’ and then the college presidents all got together, I mean, they made the decision, the ten college presidents said, ‘Alright, it’s time, we need to make a decision now’…and for us it was a matter of transparency, it was a matter of you know, you make a decision, you make a tough decision, a very difficult decision that impacts, uh, people and it’s an emotional piece to this,” Hasson said. “We want to be transparent, we want to let the students know decisions had been made, signing day was on the Wednesday after we made a decision. We wanted any student athlete that was considering playing football to understand that this next season was going to be our last, so it would be negligent of us not to announce it as soon as a decision was made because these students…I mean, you can imagine the alternative, they make a decision and then they find out…so it was about transparency for us,” Hasson said. But that timing, according to several football players, was two days before signing day—effectively ending any chance for certain players to commit to new teams and in some cases making them ineligible or unable to accept other offers from outside schools. Some players contend that they thought they had been sufficiently reassured through the statement about the reevaluation of the football program by the Chancellor— and then the word came down, the fact that administrators came together because the decision had to be made now—did not fairly equate. Northeast Valley News asked Hasson how much impact the student success metrics (e.g. academic success, GPA, loan repayment, retention rates) listed in the report had on the decision—since this was the area of focus for reevaluation according to Harper-Marinick. “Well, student success metrics were a component of it, but you know it wasn’t the primary component of this decision—it was the financial viability of sustaining these programs long term for the district, but student success metrics was of course a component of our decision because we want to make sure that these students are successful in the classroom, because, again, the classroom is our priority. When you look at the task force report, football, fall to fall retention rate, GPA, student loan default rate— that was a component of the task force report, you are correct,” Hasson said. Northeast Valley News contacted administrators from the four campuses where the programs were eliminated and asked questions in order to clarify some of the economic data raised and, among other things, to see whether a large part of the decision was based on the stated $20-million-dollar potential of “ongoing costs to maintain the football programs.” and whether or not the costs matched the $20-million-dollar assertion. We also asked administrators if they would provide separate breakdowns of the projected capital improvement numbers for the football programs at their respective campuses. “Here at Glendale Community College we did a preliminary assessment of the football stadium, field and locker rooms. The preliminary review determined that we would need to repair and renovate the football stadium structure and utilities at an estimated cost of $400,000. The review also recognized the need to resurface the football field and repair the locker rooms infrastructure at an additional cost of approximately $400,000. This assessment and estimate resulted in an approximate cost of $800,000. Currently, Maricopa Community Colleges is performing a more comprehensive assessment of all buildings and infrastructure and Glendale is included in this effort. We hope to have the results from this assessment before the end of the year,” Erpelding wrote in an email response to nevalleynews.org. Northeast Valley News has not been able to confirm by the district any information on a comprehensive assessment of all buildings and infrastructure (including Glendale) from the district. “Here are some figures from Administrative Services, based on estimated facilities-related expenses,” Neff wrote in an email response to nevalleynews.org. The $20-million-dollar stated amount needed for capital improvements for the football program is inexact as the estimates are tallied. For example, at PCC, capital improvement is only $2.74 million. If one assumes this figure for all four programs the total would be $10.96 million. For GCC the estimate for capital improvement is $800,000, suggesting only $3.2 million if all four programs need about the same amount. So capital improvement ranges between $3-11 million. The range widens quite a bit if one includes “estimated deferred maintenance needs” at MCC but even with this inclusion the most extensive capital improvements would still only hover around $9-17 million. In a March 27, 2018 interview with former Scottsdale Community College President, Dr. Jan Gehler, Northeast Valley News asked for a specific breakdown with regard to the $20-million-dollar stated expenditure for capital improvements. “As much as $20 million dollars is a large figure, that’s probably the amount of money that Glendale alone needs to fix their stadium and their stands,” Gehler said. “$20 million dollars takes care of the facilities in Glendale, perhaps—I’m making this up. But I—you know—I don’t know where—I just know the large scale expenditures are probably between Glendale and PC (Phoenix College) because their facilities are much older,” Gehler said. Gehler could not specify and Glendale’s estimation was $800,000 for capital expenditures. The variance on the estimations along with the $20-million-dollar figure factoring in the decision, produced more questions than answers, but some of the proponents of the football program believe it “was the easy target for elimination” all along. Northeast Valley News contacted an expert consultant in economics for an assessment of the information within the Maricopa Athletics, Maricopa Priorities task force report as well as financial and capital upgrade estimations given by the various VP’s of Administrative Services. 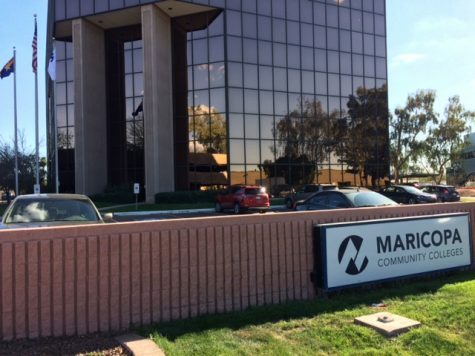 The consultant spoke to nevalleynews.org on the condition of anonymity because due to a past consulting position at Maricopa and a recent, but separate, temporary contracted position within the district. Some of the task force report findings, according to the economic consultant, contained faulty comparisons. “The table shown from the task force’s summary of costs (pg.18) and the tables on (pp. 32, and 34-37) clearly show the decision rules applied are neither straightforward nor transparent. In terms of cost they make an incorrect comparison, because football is a men-only sport. The correct comparison should have been to combine baseball and softball,” said the consultant. The decision also did not account for the fact that track, cross country, and soccer sometimes share the same facilities with football, just as basketball and volleyball likely share some facilities. Overall, the shut-down of football saves only $989,000 per annum: $770,000 in operating cost and $219,000 in insurance premiums. The figure should be lowered by the tuition paid by players who are not on scholarship; it should be lowered by the fact some sports facilities are multi-purpose, and that the cost of maintaining existing facilities does not go away. The argument that the mission of Maricopa is “to educate” “is confusing to many athletes where sports are a main facilitator to their education. Lastly, the consultant offered a comparison with regard to the economics of college sports programs overall. “College sports programs and teams operate in a market that economists call managed oligopoly. Unlike professional programs like the NBA and NFL that are also revenue sharing managed oligopolies, the objective of college programs is education. The rules of operating are the same, but of shutting down—different,” said the consultant. 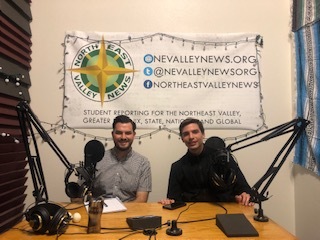 Northeast Valley News spoke with several student athletes who were initially optimistic about the Chancellor’s assertion that the program would not be eliminated and many looked forward to the 2018-19 promised reevaluation of the program. When the players we spoke with heard about the decision to eliminate the program, they were confused by how quickly the decision was made and the stated reasons given. One player reflected on the opportunities that would be lost for future high schoolers who were looking to play football within the state’s largest community college system. 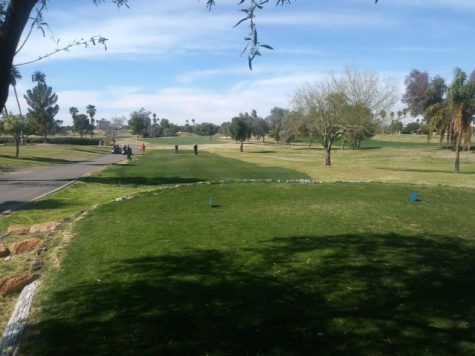 “The fact that they’re shutting down four schools here in Maricopa doesn’t give them a lot of opportunity—there’s a lot of kids…well, if they don’t have football they’re not going to go to school. 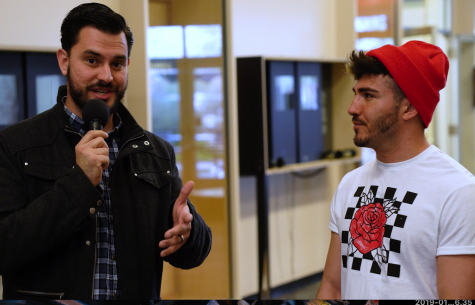 I think…um, especially community college football…really changes lives, gives kids second chances…and helps kids grow and mature,” said Bryce Fontana, a former Defensive Tackle for SCC. An effort spearheaded by former Glendale Community College football coach, Joe Kersting, quickly surfaced via Twitter, @4Juco, and “Fight 4 Maricopa County JUCO Football” and the group utilized social media avenues as well as an online petition. The initial effort to keep the JUCO (junior college athlete) football elimination in the public eye garnered local and even some national media coverage—at least initially. A Netflix original series, called Last Chance U chronicled the junior college football journey and the series reveals the pipeline of talent (and opportunity for some) as well as a bevy of other community college players that are likely not headed for pro but can garner other opportunities. Jason Brown, the head coach at Independence Community College and the featured college team highlighted in the Netflix series said that junior college football holds an important role in Division I football. For many of these players, this is—the last chance. “Football recruiting in junior college never ends. That’s our blood-life. When a tackle gets kicked out of Florida State on July 30, we need to go pick him up. We have to show that we are the go-getters that have their ear to the ground and turn over rocks. You always want to bring in the best players and you to bring em in 30 deep, if you can. I believe competition breeds winning cultures. It eliminates a lot of kids doing foolish things, too, because now you can cut Player A, and Player B’s just as good. That’s why we bring in so many numbers, and that’s why we recruit the nation. We recruit until Day 1 of the season. And we recruit all season long for the next year’s class,” Brown said. 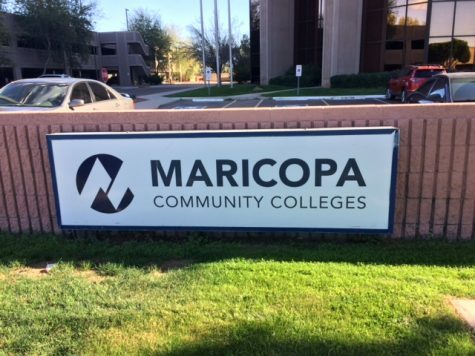 The recruitment opportunity for something better is the very hope—the lifeline, that community college football players enrolled in Maricopa have counted on for decades. 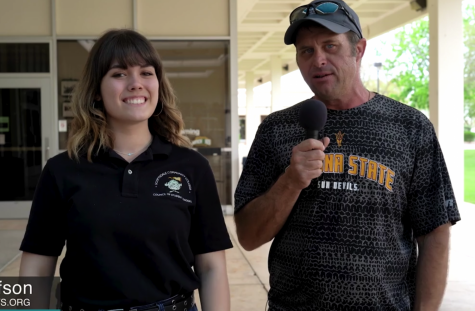 Dan Cozzetto, former football coach at Phoenix College explained how shutting down the community college football program is a mistake on many levels. “The biggest thing that people fail to realize is that— if you do your research when Washington- Oregon about 30 some years ago…they eliminated football…number one their enrollment went down, the things I can tell you about that in the state of Arizona, these athletes that are student athlete football players, they have limited places to go, there’s not division 2, division 3 schools around. There’s only so many kids that go to Arizona State, U of A, NAU,” Cozetto said. “We gotta start taking care of our own people, we gotta make sure that these guys have the opportunity to go on and do something worthwhile with their lives after football. Football is just a temporary journey, it’s what they do in football to get to their rest of their life —that’s important, because not all are gonna go to the NFL, so they need to build a background, academically, that’s gonna get them to survive in life,” Cozetto said.